I have to admit that my memory is atrocious! So it's not really surprising that I often forget to buy things until I've nearly run out - and much to Elgin and Cherry's horror than includes dog treats. I find it difficult to get to shops (I'm a wheelchair user and live in a rural area where a lot of shops aren't wheelchair accessible) so I order most things online - and every month I seem to have to do an emergency order of dog treats and pay for next day delivery! So imagine my delight in discovering Top Collar, a fortnightly subscription service that delivers a pack of tasty handmade treats to your door every two weeks. When you sign up to Top Collar you are asked to upload a photo of your dog. 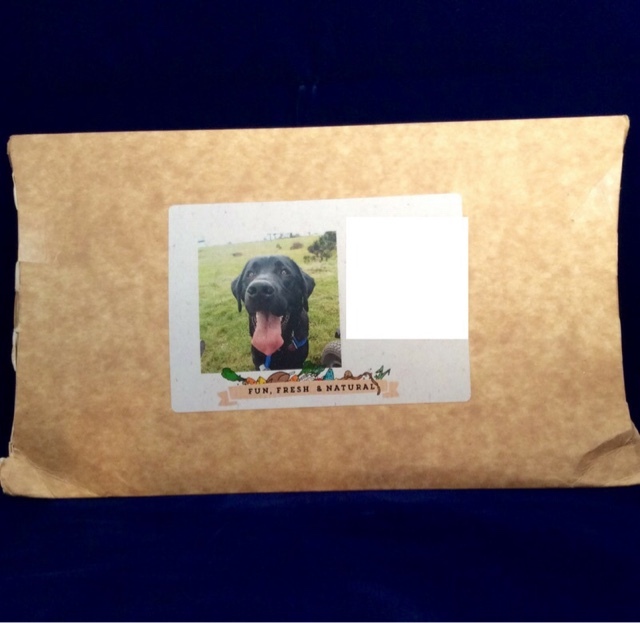 This photo is used on the envelope's address label, which I think is a lovely personal touch, Elgin must have recognised himself as he seemed to know the parcel was for him - or maybe it was the smell of the treats that convinced him it was for him! Each fortnight a different flavour of treats is sent, and I must say that the flavours are very inventive and different from the norm. 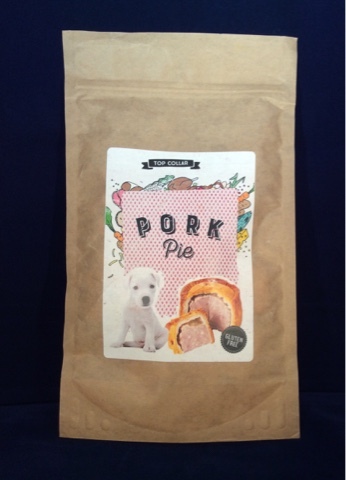 Elgin was sent Pork Pie flavour which sounded very tasty, even to me! Other flavours that I've seen photos of on Top Collar's Instagram page include meatloaf, Sunday roast, full English and cheese board. The treats are all made with healthy natural, human grade ingredients and they are all wheat and gluten free. "Mummy please can you stop taking photos and let me eat my treats?!" 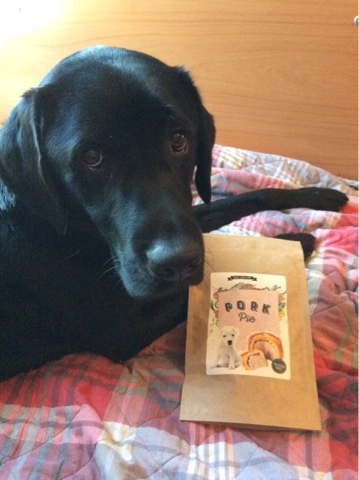 Elgin absolutely loved these treats, he would have eaten the whole pack of I'd let him! They are heart shaped biscuits and are a nice size for a special treat. They looked good, very natural like you'd make at home - if I was any good at baking that is! They had a nice smell to them, that unlike some other treats, didn't smell artificial or overpowering. They were certainly very popular with Elgin. Because his photo was on the packaging, Elgin was convinced that they should only be for him! But he was a good boy and shared with his sister Cherry. They made Cherry very happy and excited - so excited that I couldn't get her to stay still for a photo, so I had to take a video instead. As you can see, she loved them. One of the things that I most love about Top Collar treats is that they are gluten free. When Henry was alive we had big problems finding tasty treats that wouldn't flare up his colitis. He was intolerant to gluten, among other things, and at the time not many companies made treats that he could eat. He would have absolutely loved these treats, I wish I'd discovered them before he passed away. I was very impressed with these treats - and I know the dogs were too! I highly recommend that you give the free pack offer a try.